Few pieces of a cowboy’s gear seem to raise more hackles, spark more arguments, yet be more indispensable than a good set of spurs. Spurs are the stuff of passionate debate as well as endearing admiration. People who’ve never even owned a horse collect them as works of art but what about the serious horseman who uses them daily? 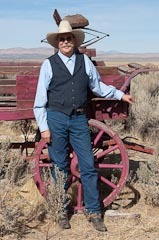 For those in the know, having a pair of spurs on your boots has often been compared to having a second pair of hands, allowing the rider to control his horse softly with highly precise yet subtle cues that free up his true hands for other work such as opening a gate or roping livestock. Are horseman who refuse to use spurs short changing themselves? 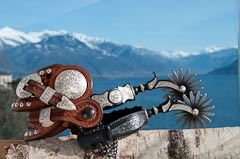 A set of fine quality, hand made spurs are often the pride their owner. They can become old friends that last a lifetime and never let you down. Is there a pair out there for you? You may be surprised to know that there is. Spurs have a long history. They’ve been made in a wide variety of shapes, styles and materials for millennia. 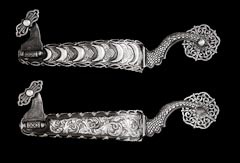 It’s interesting that every horse culture around the world has developed its own unique designs, protocols and traditions regarding spurs; how they were to be used and by whom they could be used. 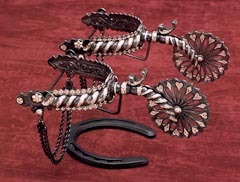 In the tradition of the American cowboy, the use of spurs originates from Spanish Colonial culture. The first spurs to hit the shores of the new world were warn by the Conquistadores who were often of noble birth and employed by the Spanish crown as mounted mercenary solders. 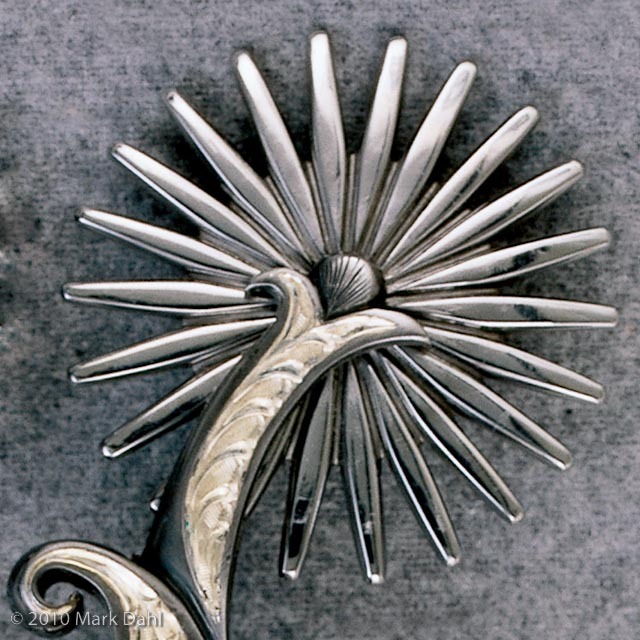 Many design elements found in modern American spurs can be traced back to these artistically exquisite Spanish forms. The Spanish designs in turn can trace their lineage back over a thousand years to the Moors and the ancient horse cultures of North Africa. The biggest myth regarding spurs is that their sole purpose is as a means of punishment. It’s true that there are some antique spurs that look pretty scary. But even these severe looking specimens were created more for their appearance and prestige than their pointedness. Thankfully, for the modern horseman, spur designs have evolved to become much more user friendly. Spurs, like bits, are tools and any tool, when used incorrectly, can have damaging results. A plain ring snaffle bit can become an instrument of torture in the wrong hands. The modern practices of training through feel advanced through horseman such as Ray Hunt, the Dorrance brothers and their numerous disciples has broadened our understanding of the classical aids. “Less is more” is the mantra that is taught over and over again. Few people, it seems, stop to focus and think of what that statement really means and how it applies in the use of the classical aids. This lack of understanding has contributed to the spur gaining an unearned reputation as an instrument of cruelty. “See how little it takes”, is a well known quote of Ray Hunt’s, the man must have said these words a million times during his lifetime spent trying to improve life for the horse under saddle. I personally heard him say these words many times while attending his clinics. Only a fraction of his many thousands of students however, actually knew what he was trying to say. Even fewer heard, much less understood, the second half of this statement; “But be prepared to do whatever it takes.” Being prepared for anything the horse you’re sitting on might do is the hallmark of the true horseman. Being ready to act to that action- to do whatever is needed instinctively and intelligently is the mark of a master. Having the right tools and knowing how to use them is a large part of this picture. 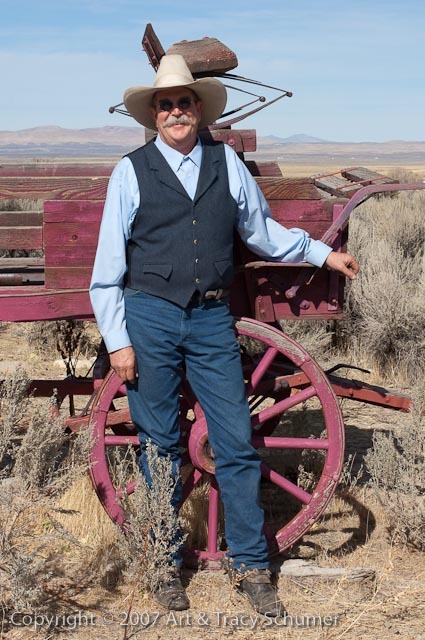 “On the other hand, I have a pair of spurs in my personal collection that have three inch rowels but each rowel only has five points so when you’re using these spurs only two points are hitting the horse at any one time. A rowel that has more points dulls the surface because there’s more points touching the horse. There’s also a lot to do with the shape of the end of the points. If the end of the points are cut straight off square, that can be very severe; that can cut a horse. If the points are rounded then it doesn’t matter how many there are, that spur will be less severe.” An effective way of judging how potentially severe a spur’s rowel might be is to test it on yourself. Take the spur and run it down the inside of your fore arm and you will instantly feel what your horse will feel. Dahl continues, "I was talking to [the clinician] Bryan Neubert one time and he was telling me about a guy he was buckarooing with and the guy kept taking the hair off his horse with his spurs. But he couldn’t figure out why so he kept filing down the points on his spur rowels; cutting them straight off- he thought he was making them as dull as he could but what he didn’t realize is that what he was actually doing was sharpening the points and creating almost a knife edge to them. In truth, if a rowel is made right then I don’t believe there’s a possibility of cutting a horse. It wouldn’t matter how big the rowel was or how strong a person spurs the horse. Remember that the spinning action of a rowel matters a lot. Bull riders tie down their rowels so they won’t spin, it helps them keep on. The spin of a rowel is important, it makes it so that the spur won’t grab hold and hurt the horse. " Different combinations will produce a different result says Dahl, a person should also think about where they will be riding. “Lets say you are a cutting horse rider, they like to use a shank and rowel that they can just touch a horse with easily and be able to do it quickly. If you’re working horseback in the brush and your feet are getting caught in the brush all the time you need a spur that won’t get hung up and driven up into your horse. When a person has more control over their environment such as working in an arena then they don’t have to worry as much about spurring a horse when they don’t mean too.” To use the word “severe” when categorizing spurs is somewhat misleading as the severity of any piece of gear is always in the hands, or in this case, feet of the rider. 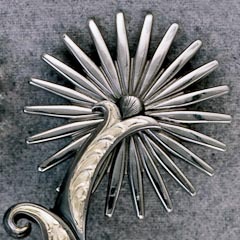 There are spur designs that are suitable for even children to use just as there are designs or styles of spurs that are intended only for the highly experienced adult. 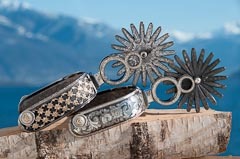 One thing to consider in choosing a spur style is how much walking around you’ll do while wearing them. 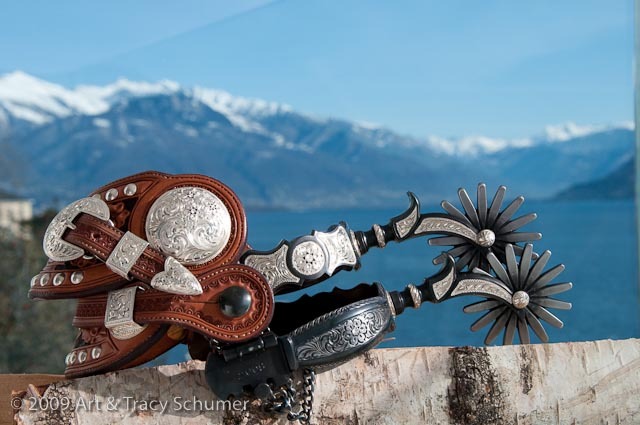 Some of the fancier Buckaroo and California style spurs can be uncomfortable to walk in for long periods of time. Spurs with heal chains, jingle-bobs, and long drop shanks with large rowels that drag the ground will tend to collect debris and this can become a tripping hazard. 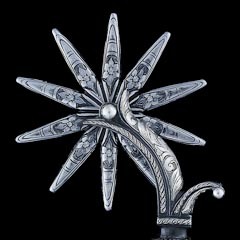 There are classical designs of Spanish Colonial spurs that were intended to be strapped to the rider’s boot only after they had mounted the horse. For the stylish Don with a fleet of servants always at the ready, this was not an issue but for the rest of us, trying to put your spurs on after you’ve gotten on your horse could present a problem. 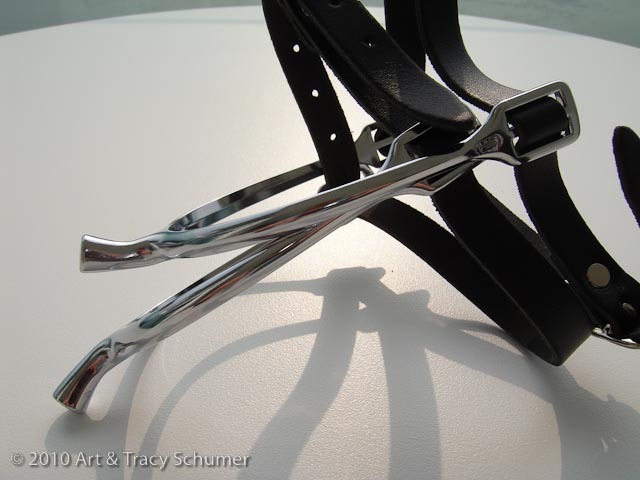 Many day-working cowboys, feedlot managers and professional ranchers prefer a simpler more “Texas style” spur design- a smooth short shank and no-frills heal band that sits high off the ground with a smaller sized rowel. When you’re daily routine takes you from being horseback to driving the truck or tractor and then back on your horse, the easy walking Texas spur is the working man’s friend. But when it comes to getting attention and showing off your style, the sweet ringing sound of an extra fancy pair of buckaroos coming through the barn is tough to beat. But what about the horse? Won’t a horse who has never felt a spur react badly if he’s ridden with them? Not at all really, Mark Dahl agrees; “I think the best time to start using spurs on a horse is the first time you ride them. It will never be new to them again.” When spurs are used correctly the horse can actually benefit from the experience. Remember “less is more?” The proper use of spurs has been compared to gently tapping on a person’s shoulder in order to get their attention. People who’ve never ridden with spurs may find it difficult to adjust the amount of pressure they apply with their heel at first. This is where some folks get into trouble. For people who’ve never ridden with spurs, there’s a tendency to thump the horse’s sides to get the desired response. They’re often unaware of how much their legs move around when they ride. With the aid of spurs and proper training in how to use them, the pressure needed is greatly reduced and the movement of the rider’s leg can become imperceptible. This is why so many top competitive riders in both Western and English disciplines alike use spurs. In competition, knowing how to use spurs correctly adds precision, polish and refinement to the overall “look” the horse and rider combination presents to the judges. Yes, it’s true that given enough force, a spur of any design can potentially penetrate the horse’s skin and cause injury. But remember that any piece of horse gear used with malice does harm to the animal. Knowledge, confidence, sensitivity, consistency and integrity, these are the qualities that improve horsemanship. Are spurs necessary? No, but they can make your job easier. Spurs can improve responsiveness and increase performance without doing harm to the horse. They’re a conduit to a higher level of communication. Traditionally, a fine handmade pair of spurs was often a cowboy’s most expensive and prized possession. 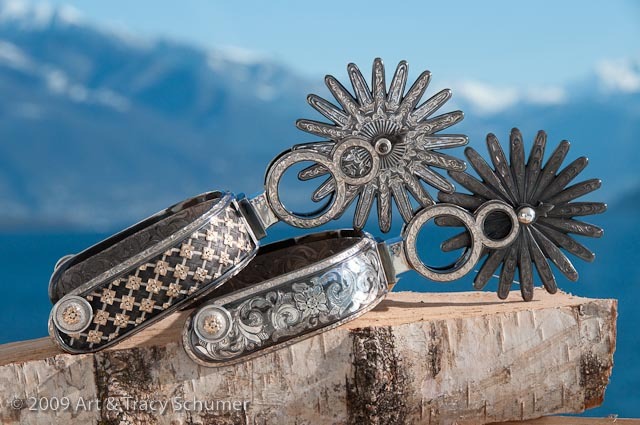 His spurs are a point of pride and a symbol of his individualism; a true signature of the American West. Comments for "Ode to the Spur"
Terrific article on the spur and explains much for the novice.